Alice’s Adventures under Ground is the original title of Lewis Carroll’s first “Alice book,” a children's book for adults published in 1865 about the "mental derangement" among "the afflicted" in English society. Carroll's opus is a stinging satire on characters in British society, set in a "demented" underworld as seen through the lens of London's Lunacy Commission. 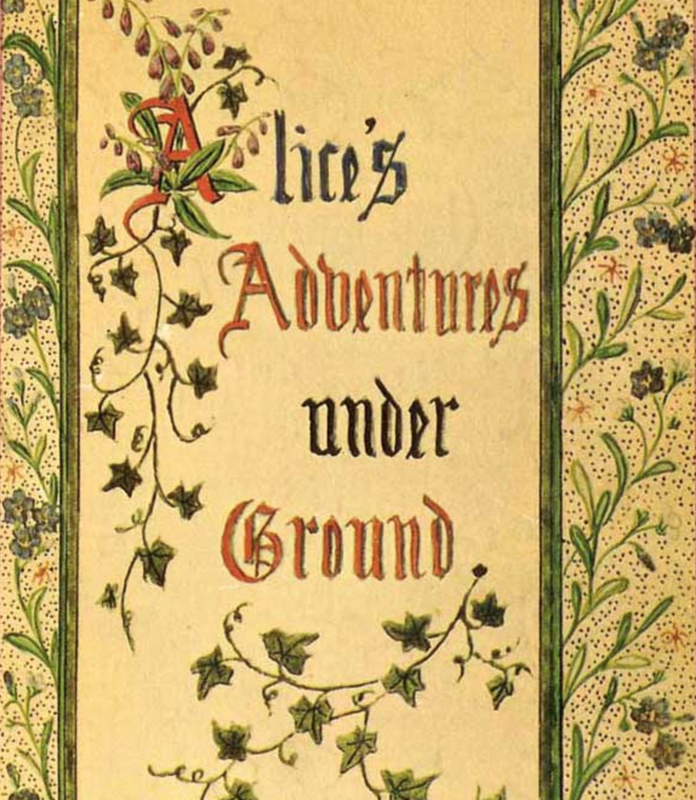 The book's title morphed from its original, earthy "under Ground" into its euphemistic replacement "Wonderland," as in Alice’s Adventures in Wonderland. In 1951, Disney's animated film Alice In Wonderland shortened the title to three words and whitewashed Lewis Carroll's underground asylum by casting Carroll's crazy characters, as if they had starring roles in Disney's fairytales Cinderella and Snow White. 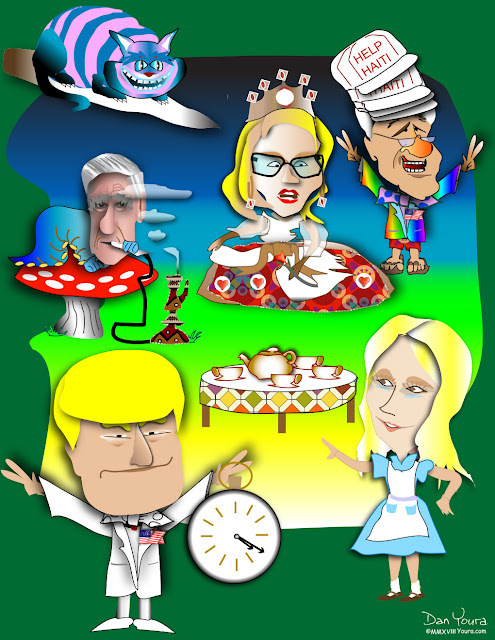 Lewis Carroll dreams up a cast of wacky characters, each suffering from one or more mental disorders. The author paints Alice into an imaginary, upside-down world, where time runs backward and insanity is accepted as normal. "Lewis Carroll" is the pen name of Charles Lutwidge Dodgson, who, educated at Oxford, was a professor of mathematics and logic in mid-nineteenth century England. The famous author held a “fascination with mental derangement" and studied the "afflicted" with his uncle, who was secretary of the Lunacy Commission and was killed by an asylum patient. The author’s stories, Alice's Adventures under Ground and Through the Looking Glass, are more than simple children's books. Carroll explores mental illness, time, space, and logic. The conservative professor elevates mid-nineteenth century children's literature into new realms. He satirizes English culture, twists the meaning of words, and sprinkles contradictions into a world of nonsense. Truly Looney! For more than one hundred and fifty years, book reviewers and psychologists have been attempting to diagnose the psychological disorders of Carroll's fictional characters. 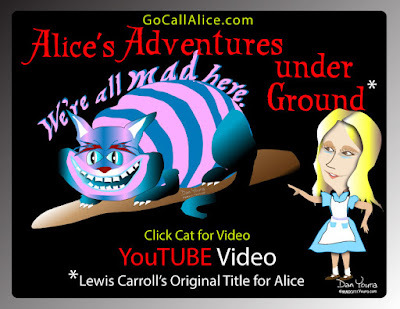 "We're all mad here," is the most recognized quote from Carroll's underground. 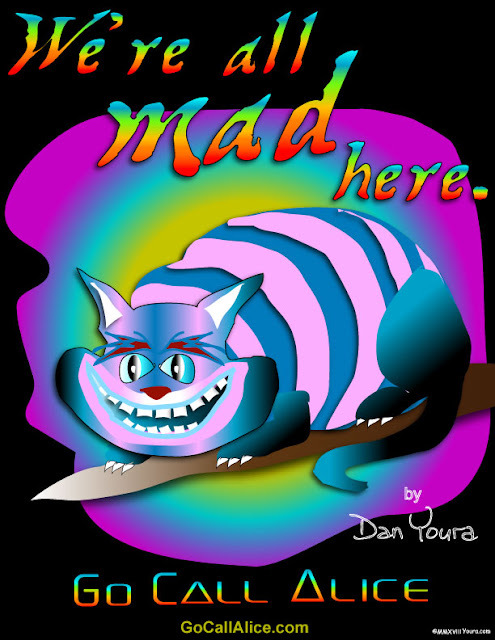 The famous or infamous phrase is the affirmation of Cheshire Cat, who also said, "I'm not crazy. My reality is just different from yours." The Cat indicted Alice, telling her, "You are also mad." 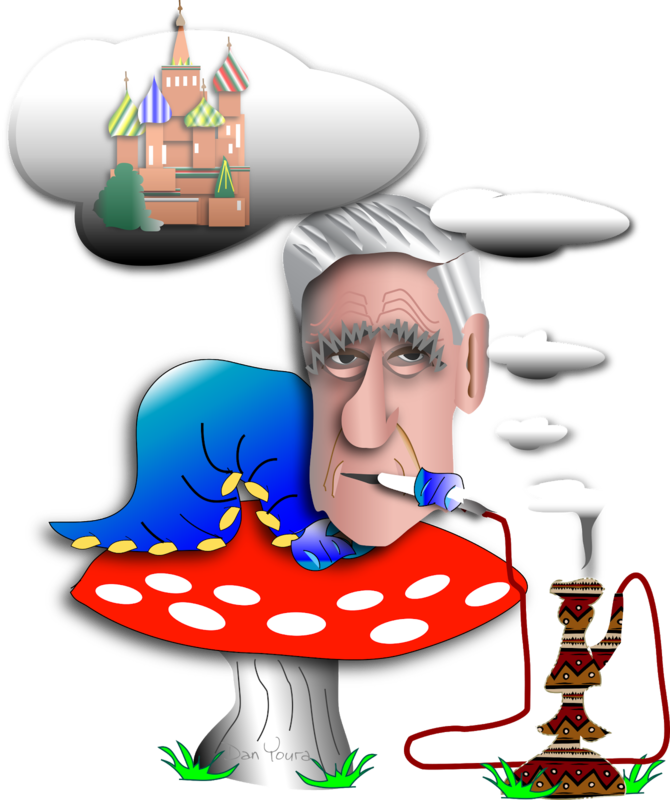 Current psychology pundits diagnose Alice with schizophrenia for talking to a disappearing cat and a hookah-smoking caterpillar. 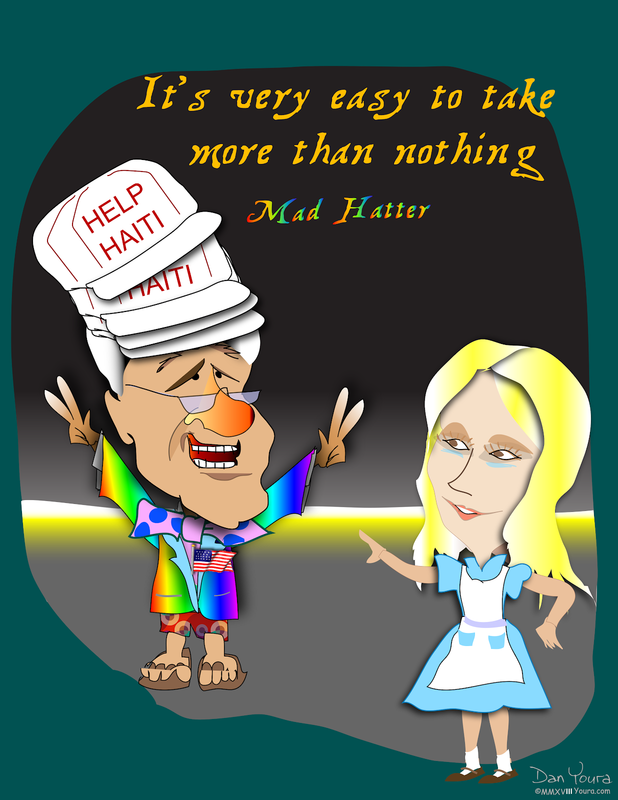 Mad Hatter [Notice: name is "Mad") suffers a borderline personality disorder (BPD). 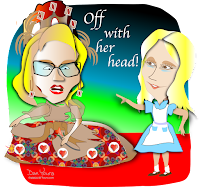 He asks Alice, "Why is it you're always too small or too tall?" He also laments, "I can't go no lower. 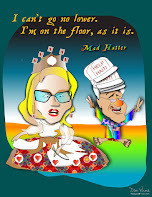 I'm on the floor, as it is." 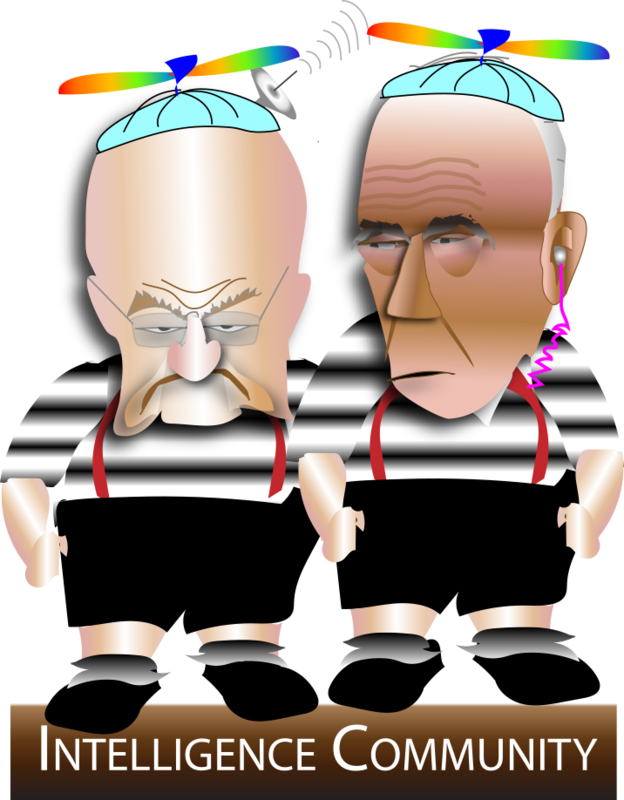 Tweedledum and Tweedledee are pegged with Attention Deficit Disorder (ADD). "Contrariwise," affirms Tweedledee, "if it was so, it might be; and if it were so, it would be; but as it isn't, it ain't. That's logic." Red Queen? She rules from the throne of her narcissistic personality disorder (NPD). 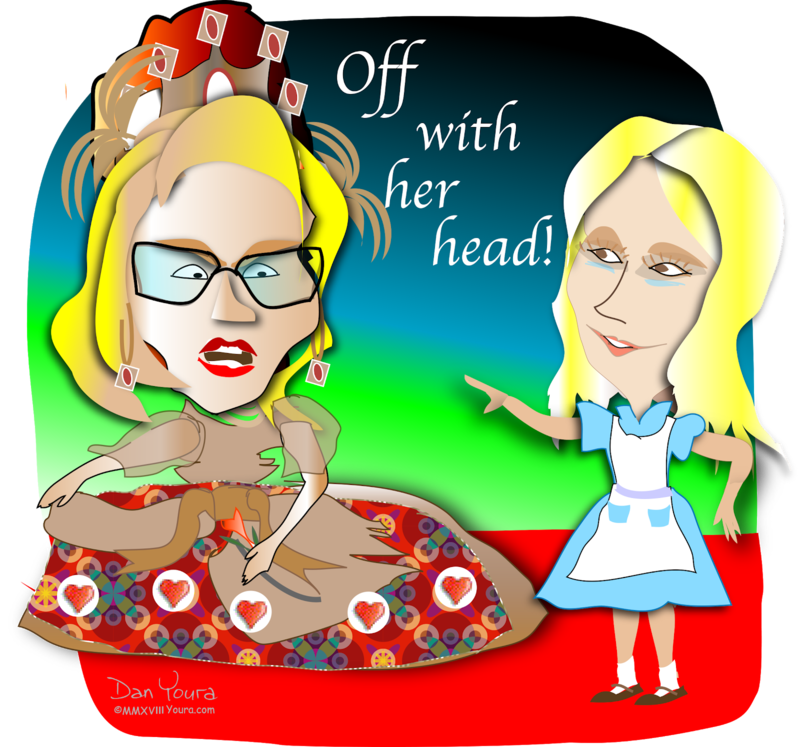 "Off with her head." Her subjects are objects. "Off with their heads." 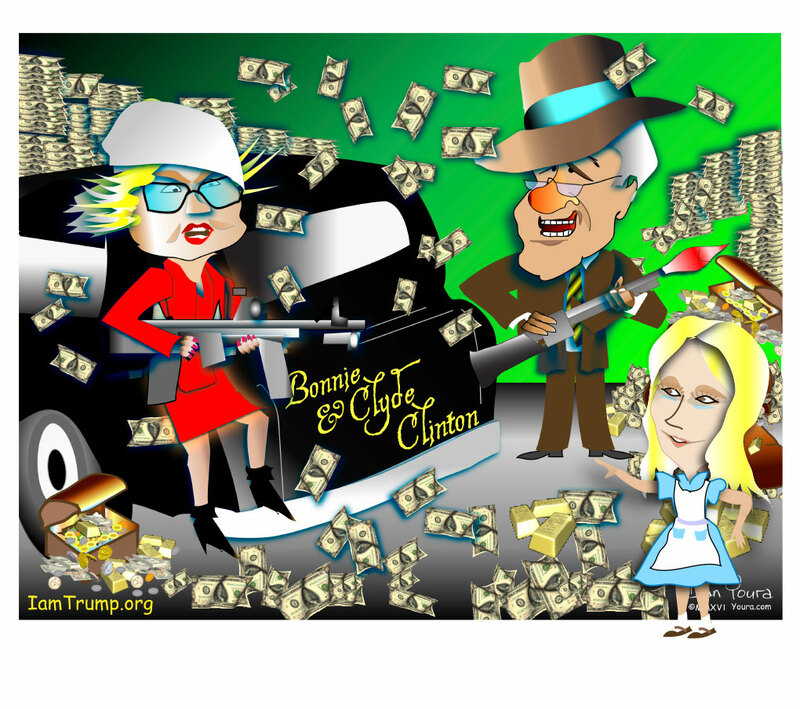 And, White Rabbit? 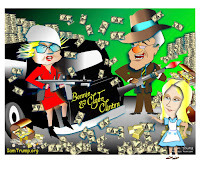 He's not in the underground when Alice meets him. He starts in her world, then leads her on their adventure through Carroll's under Ground." Jangling his oversized, pocket watch, White Rabbit speeds around, announcing, "I'm late. I'm late. For a very important date." It is easy to diagnose his general anxiety disorder (GAD)? What about the dope-smoking Caterpillar? His obvious substance use disorder (SUD) devolves into delusions of grandeur (DOG). The three-inch tall, blue caterpillar, rearing itself upright proclaimed, "Three inches is a very good height indeed." He is the one who advises Alice to eat one side of the mushroom. One side? The little worm tells her, "One side will make you grow larger and one side will make you grow small." How did Lewis Carroll's macabre funny-farm evolve (or, devolve?) into a beloved cast of nursery rhyme characters? Walt Disney can be lauded or blamed for sugar-coating Carroll’s madhouse in the 1951 Disney animation––Alice in Wonderland. Hollywood's Technicolor film recasts Carroll’s mentally "deranged" psychos into cuddly characters for kids to take to bed at night to ward off nightmares. 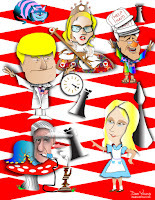 What the Hollywood studio fails to expose to Alice's fans is that Disney's cuddly characters are reincarnations of Lewis Carroll's crazy cast. The themes of the Alice story are identity, discovery, and growth, even when surrounded by chaos. Alice asks, "Who in the world am I?" Alice not only grows ten feet tall, she manages to mature as a result of her adventures in the under Ground. She exits the underground more grown up than when she first stumbled into the hare hole. It was all a dream. Alice's dream. Lewis Carroll's dream, Disney's dream. The underground's dream. Now, if you wish, it can be your dream. 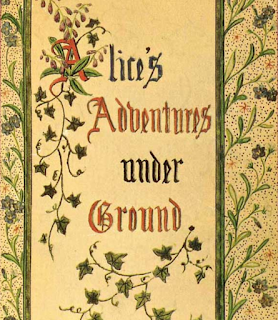 Herein, Alice's 21st Century's story resurrects the original title, "under Ground" in place of "Wonderland." 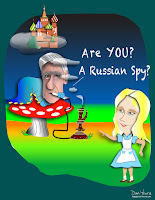 Alice follows the White Rabbit deep into the underground to confront the upside-down unreality of the creatures who inhabit the dark places beneath our lofty self-illusions. 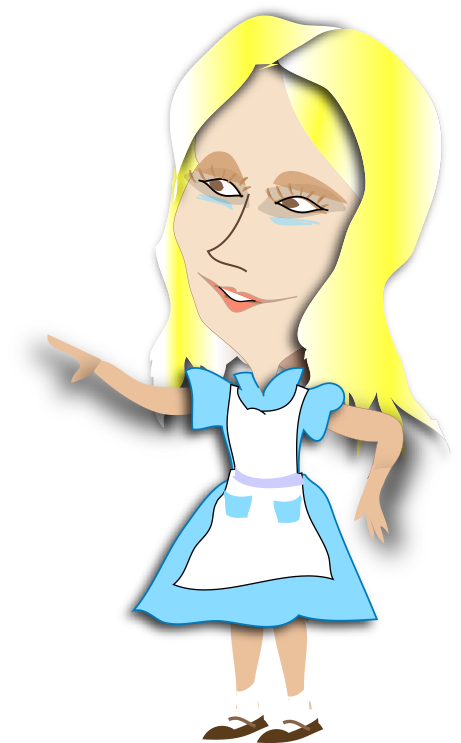 Alice exposes the shadows that lurk inside each brain. 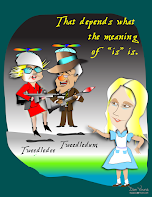 Professor Dodgson's 21st Century version of the Alice story would be more similar to The Matrix than to Cinderella. The story plays out simultaneously in two parallel realities––the mad mind and the "under Ground." Lewis Carroll choreographed his Alice dream with the leading man played by White Rabbit. The author had other choices he could have cast in the role––fox, gopher, squirrel, mouse, raccoon. So, why Mr. Rabbit? Because, he is an archetype, a symbol, a myth, a legend with common themes among multiple cultures throughout the history of humans and animals. As a spirit totem in Native American lore, Rabbit is the Guide, especially to the underworld. Rabbits burrow underground networks of tunnels, known as warrens. Rabbits are good navigators, able to see in dark places. Myths describe them as seers with psychic powers. They possess superior, directional ability. They are quick. Clever. They zig, zag. In some cultures, they are Tricksters. In others, Heroes, such as the Great Hare who created the world. The Rabbit in the Chinese zodiac leads to prosperity, peace, beauty, and love. Wild rabbits populated the glen along the English river, where Lewis Carroll first debuted his Alice story to the three Liddell sisters, one of whom was Alice. The girls sat in rapt attention listening to the professor spin the tale about Alice's adventure following White Rabbit into the underground. The rabbit is Alice' guide. 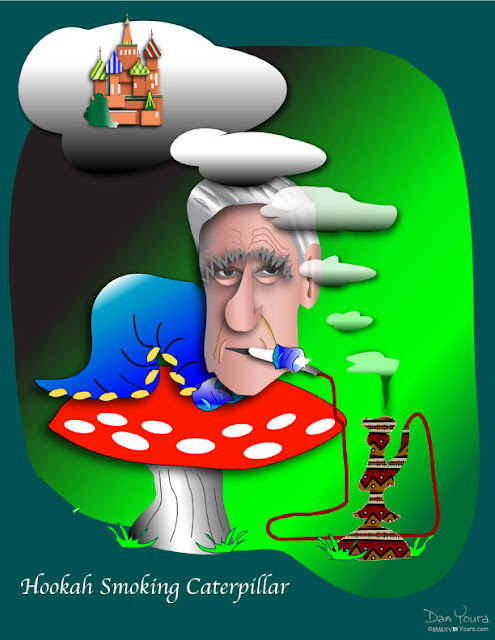 He leads her from scene to scene, introducing her to the hookah-smoking caterpillar, Tweedledum Tweedledee, and the Red Queen. In the end, Mr. Rabbit leads her out of the hare hole, back to the aboveground meadow, where the fictional Alice had fallen asleep one hour prior. The surface story is Alice's Adventure under Ground. 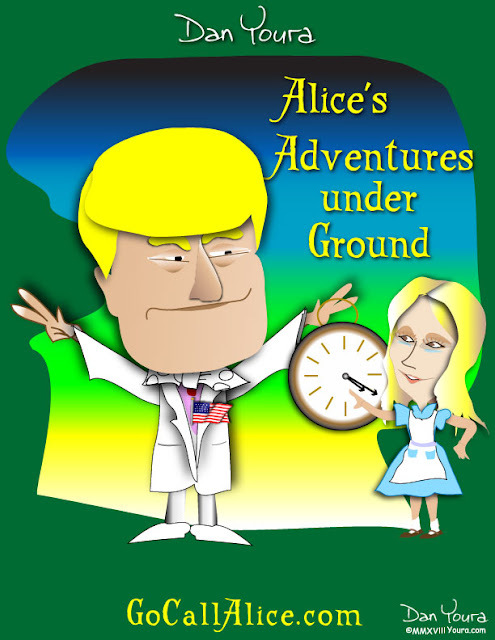 A parallel story is Alice's encounter with the Deep State, Shadow Government, and dark web––the under Ground. 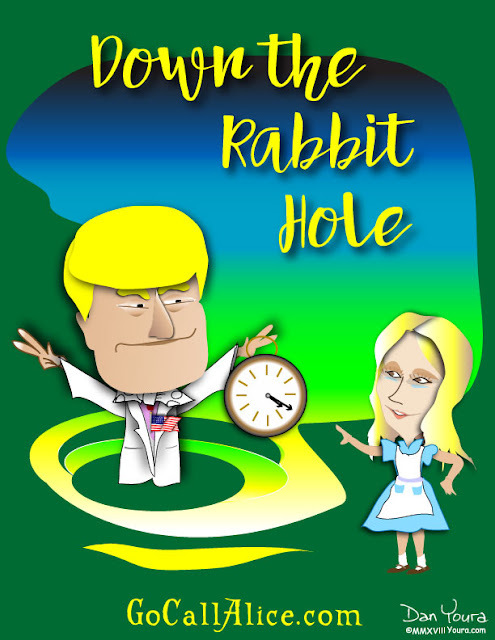 As Alice drifted off into sleep, she saw White Rabbit go down into a rabbit hole. She followed after him, stumbled into the hole, and fell for a long way through a tunnel. The pink and purple cat sees it all. Cheshire Cat observes it all from above. His eyes can remain at a site (sight) even after the rest of his body has moved on or morphed into his next manifestation. For more than one hundred and fifty years, book reviewers and psychologists have been attempting to diagnose the mental states of Carroll's fictional characters. 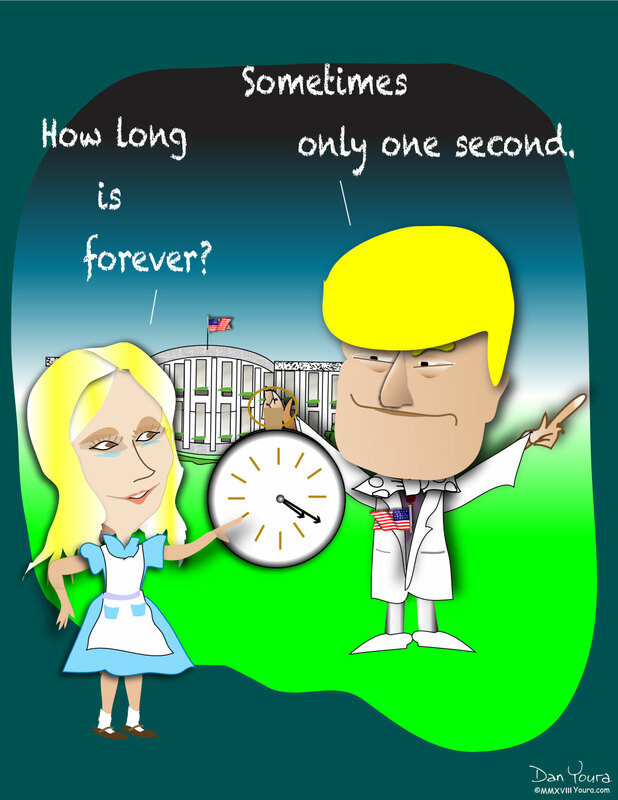 The story begins with the white-aproned, eighteen-year-old heroine captivated by a white rabbit hopping about in a white topcoat while swinging an oversized pocket watch. He is obviously in a hurry. 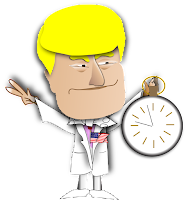 He keeps announcing that he is "late." "Late for what? "A very important date." He seems to be on a mission. Alice follows the curious creature, who hops into his hare hole. She stumbles into the hole after him and tumbles down into the underbelly of the underground, far beneath the monuments of D.C.
Alice follows White Rabbit on a journey into a cavernous maze, filled with what looks like high tech catacombs, miles beneath The Capitol and White House. 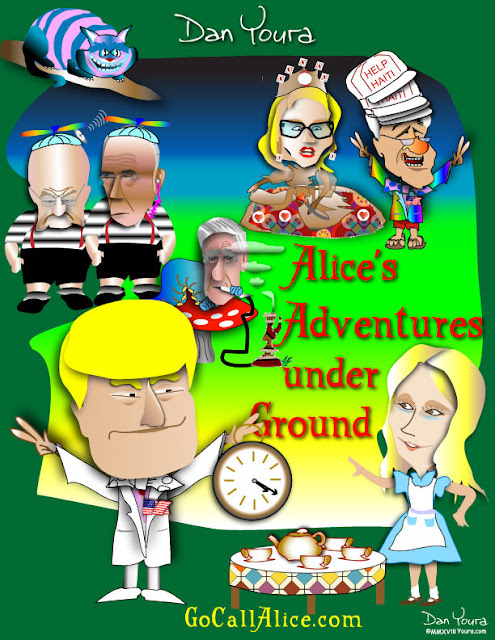 On her journey through the underground, Alice is confronted by a confounding world of conundrums and contradictions. She will be heard to lament, "It would be so nice if something made sense for a change." Are YOU a Russian Spy? How did Lewis Carroll's macabre funny-farm evolve (or, devolve?) 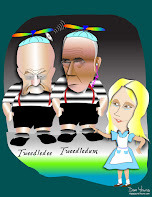 into a beloved cast of nursery rhyme characters? Walt Disney can be lauded or blamed for sugar-coating Carroll’s madhouse in the 1951 Disney animation––Alice in Wonderland. Hollywood's Technicolor film recasts Carroll’s mentally "deranged" psychos into cuddly characters for kids to take to bed to ward off nightmares. What Hollywood fails to expose to Alice's fans is that Disney's cuddly characters are reincarnations of Lewis Carroll's crazy cast. 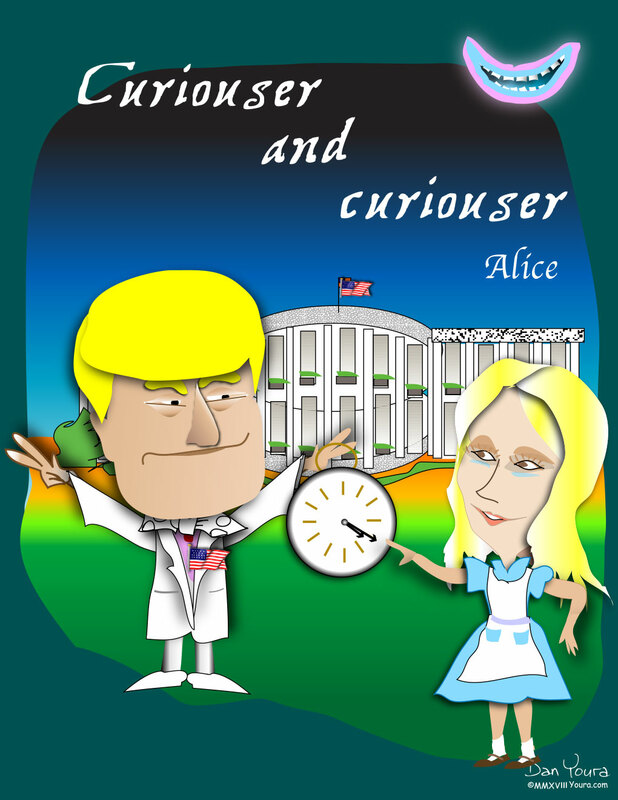 As she logs experience with the deep staters, who inhabit the under Ground, Alice learns what they are up to and what, in general, is the overall Deep State-of-affairs. 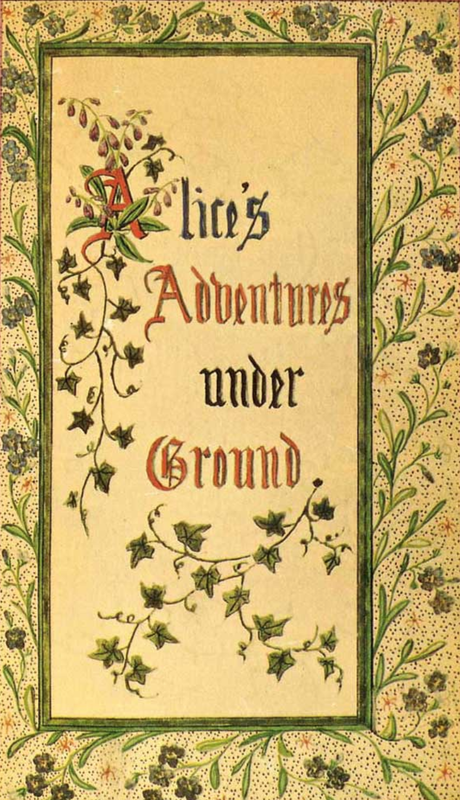 Alice’s Adventures under Ground is the original title of Lewis Carroll’s first “Alice book,” whose title later morphed into Alice’s Adventures in Wonderland. 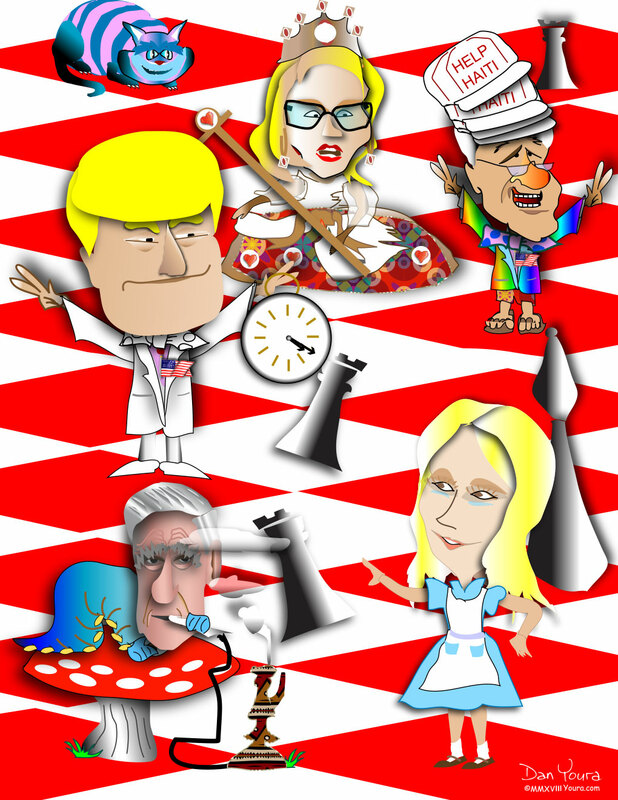 Now it is Alice In Wonderland. 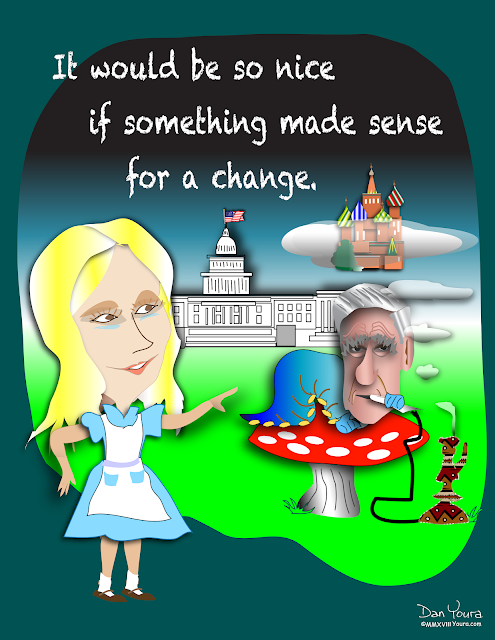 The themes of the Alice story are identity and growth, even when surrounded by chaos. 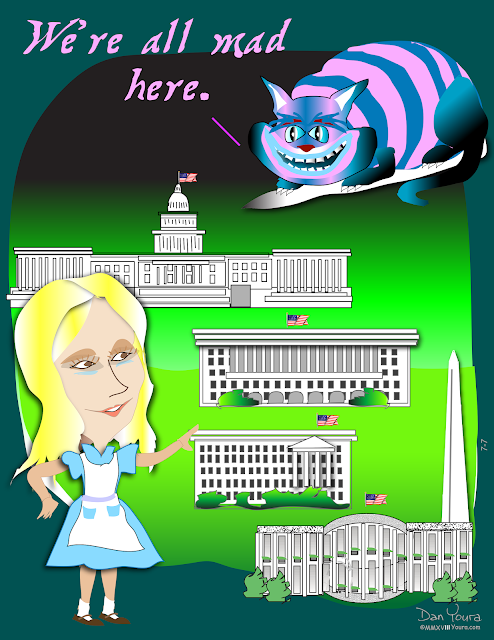 Alice asks, "Who in the world am I?" 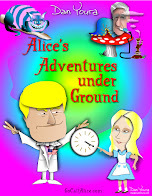 Alice not only grows ten feet tall, she manages to mature as a result of her adventures in the under Ground. She exits the underground more grown up than when she first stumbled into the hare hole. It was all a dream. Alice's dream. Lewis Carroll's dream, Disney's dream. The underground's dream. Now, if you wish, it can be your dream. One of Alice's early encounters in the underground is with an odd couple of brothers tied together somehow at the brain. They do everything together. They even finish each other's sentences. Something weird about these two deep staters! One has a satellite receiver installed on the back of his brain. The other dangles a little pink wire from one ear. It sends and receives bits of stuff through the satellite receiver mounted on the head of his sibling. 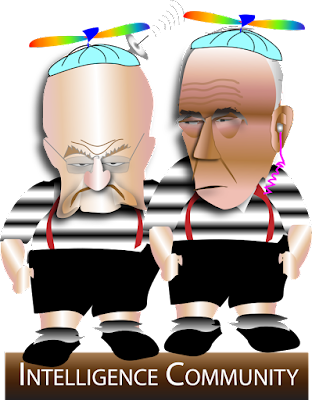 "Tweedle" is a code word in Deep State Speak. 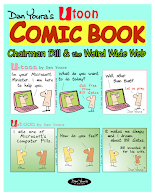 It is made up of "Twee" and "dle." It is a type of last name. 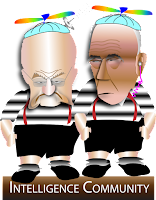 The first names of the two boys are "dee" and "dum." The last is first and the first is last. The Tweedle Brothers inform Alice that they are in charge of intelligence. They claim to own all the intelligence in the world. They claim to be the leaders of an Intelligence Community. 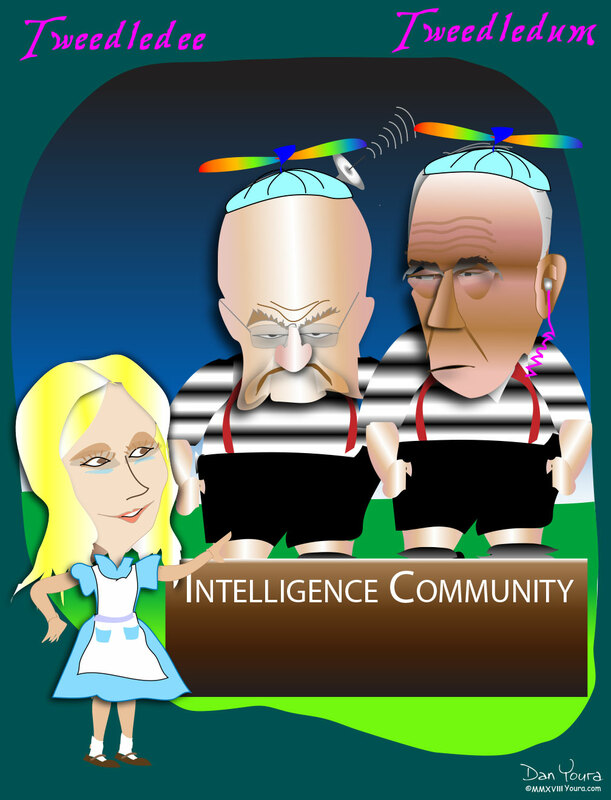 Alice informs the duo that in the real world people cherish their digital links to an Unintelligence Community. 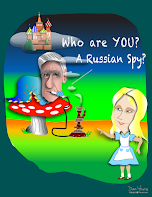 Alice's adventures will shine a light on shadowy agents hiding in dark corners. Creatures in the underworld abhor light. They love the dark, the shadows, and the obscurity of lurking in caves with bats and rats. 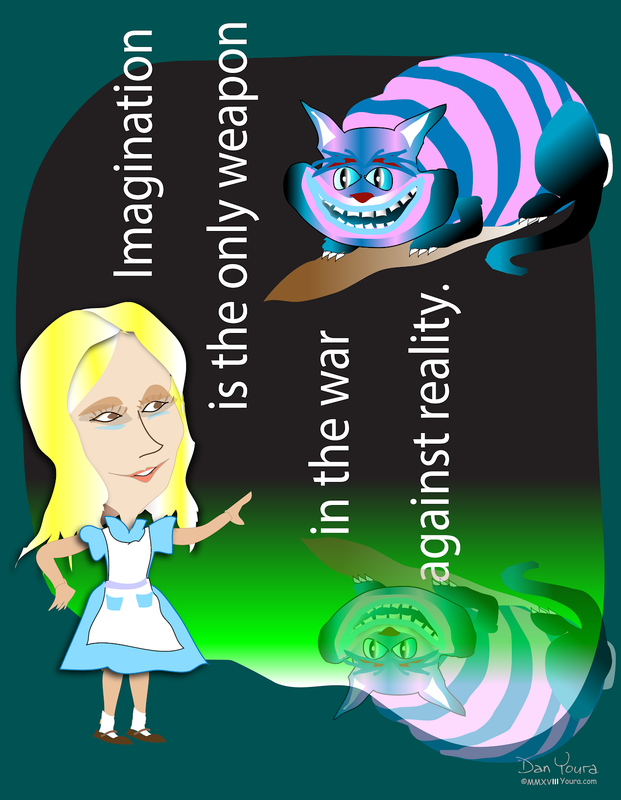 Alice rattles skeletons of not-just-a-few myths about reality. 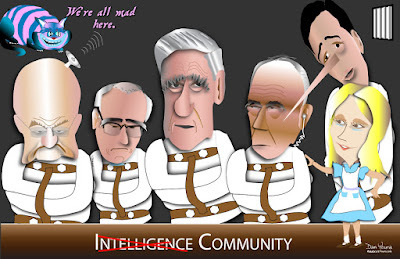 And, she exposes the nonsensical blather that is passed off as intelligence in Federal under Ground––where nothing is as it seems; where what is, isn't; and, where fantasy trumps logic and proportion, which have fallen sloppy dead. Buckle up. Take a seat. And, hang on for a trip down, down, down into the bowls of the under Ground. Alice - Who Am I?